We're approaching the end of the summer and getting ready for the school year to begin! This past month has been full of retreats and planning for the year. We now have our student leader team of roughly 50 students set and ready to be sent out at the end of this month! Our staff in Denton and across all 10 of our campuses have been spending time together in order to build depth and care for one another as we begin the year. I'm struck by the verse above because this captures a part of our goals in taking staff retreats together. We, as a team, want to be united in the Spirit. We also hold the conviction that the depth of relationships in our community will only be as deep as the staff members relationships who are shepherding the community. So we use retreats to value each other and get to know one another more by sharing stories, eating together, laughing and playing games. So much of this blog about the staff retreats we have taken this last month. Rhett, me, Kristen, Miriam, Brittany, Kevin (Brittany's husband), Matt, and Danielle. 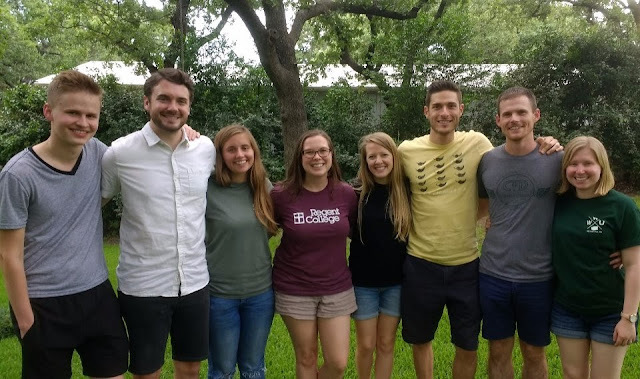 At the beginning of July our Denton staff team went on a day long retreat. We visited Matt Clark's ( Denton team Director) parents house. On this retreat we spent time telling our individual stories of how God brought us into this ministry. We spent time praying and just getting to know each other more as well. We are adding two new people to our team this year and losing one. Cody was on our Denton team last year but moved to Plano to help lead our Collin College ministry. I'm sad for him to leave because him and I were roommates and built a great friendship, but I know that he will work well with the Collin team and will be a great friend and leader to the students there. Losing Cody allowed for us to gain two other staff members. We will have two apprentices this year, Rhett and Kristen (they are the two on my right and left in the picture above). Kristen just graduated from UNT and Rhett graduated from UTD and will be moving to Denton soon. 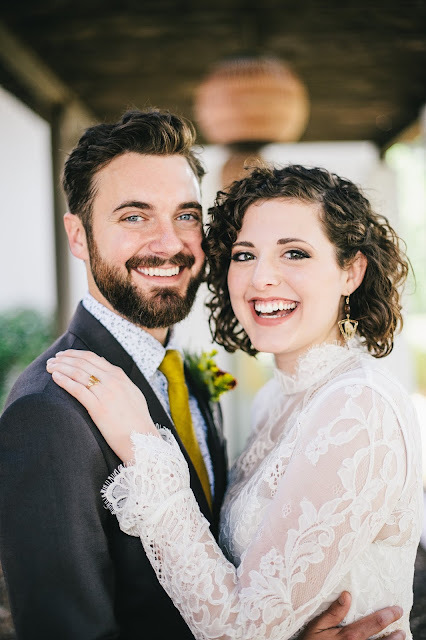 They both have committed to lead for 10 months on staff and to take classes on pastoral and biblical studies this year. I am so pumped to have these two on our team. I worked with Kristen this last year as she lead worship on our student worship team. 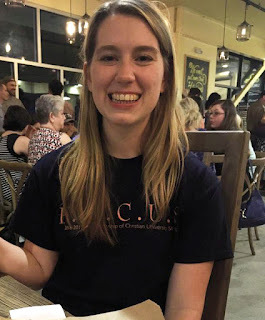 She has a deep connection with Jesus and inspires others to know him and experience him more intimately. I'm excited to have her voice at the table. Be praying for our team this year. I keep hearing from God that He wants to really equip our team to move more freely as one unit in His Spirit. I believe He wants to grow us to be more trusting, open, and comfortable with each other. I think He wants to do this in such a way that we don't live in fear of making wrong decisions or flaws being exposed, but move freely in the confidence of who we are in Him. One of the perks of doing College Ministry is that the summers are a bit slower pace. This allows me time to visit family and friends. This last month I went to Colorado for a few days with my parents and grandparents. It's such a meaningful trip because my family has gone to this same area since I was 4 years old. We have lots of memories there and the stories and scenery never get old. We do lots of fishing at Lemon Lake near Durango Colorado and usually spend a day or tow in the downtown Durango area. 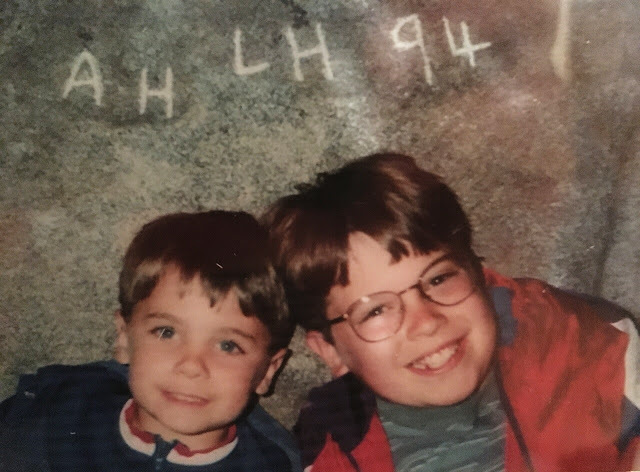 This is me and my brother Lane in Colorado as kids. My Granddad carved our initials into this rock after the first year we started going to Colorado. Our initials are still there! This is my Mom, Dad and my Mom's parents. It was great spending time with all of them, I'm so glad I was able to go! I just returned a few days ago from our all staff retreat. Yes, another staff retreat! 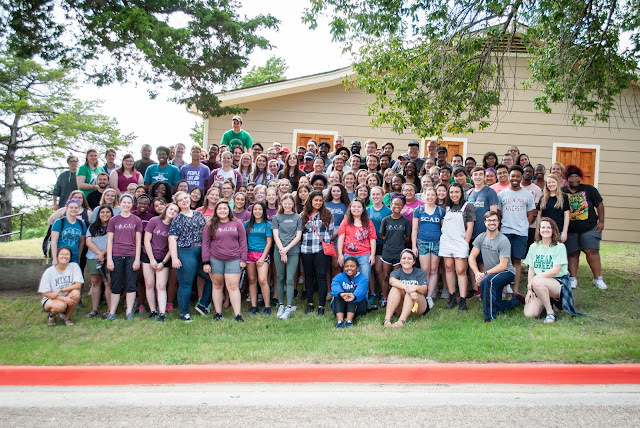 This staff retreat is different because every staff member at each of our 10 campuses attended this retreat, not just our 7 Denton team members. There were about 30 of us at this retreat. We shared about our individual callings to ministry, talked about maintaining intimacy with God through the year and spent time in worship. We also told stories about our childhood and growth over the last 5 years. It was a really helpful retreat to more deeply know the other pastors in our ministry. I loved spending time with them, playing games, telling stories and laughing together. Our Denton staff team for the next school year.